So you’ve made the decision to follow a ketogenic diet. Well done, I am sure you are already experiencing the benefits of your decision. If you are finding lunch to be the more difficult of your meals to plan and prepare, then you are not alone. 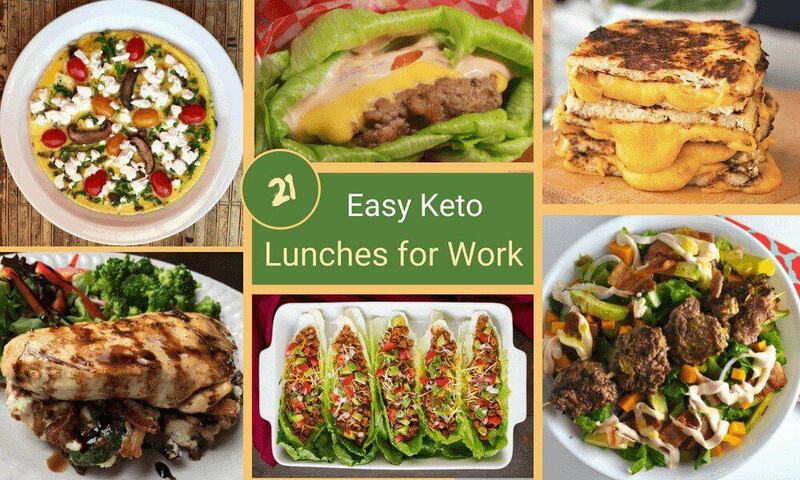 But don’t worry, with the right planning and preparation it may be easier than you think and with these easy keto lunches for work, your battle may be half way won. Just want the recipe ideas? Then follow the link to our best keto friendly lunch ideas. Not the morning before work. Plan! Firstly, what is your situation? Do you go to an office every day where you have a microwave to warm up your food? If this is the case, then an LCHF lunch is really easy. The first option is probably warmed up leftovers from the night before, but by all means that is not your only option. 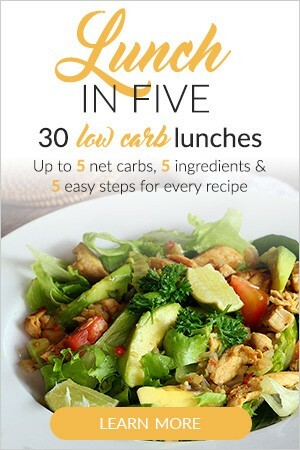 Most of the recipes shared below is perfect for a delicious, nutritious low carb high fat lunch on the go. If you don’t have a fixed office with a microwave or means to warm food, then your keto lunch options may not be as vast, but that doesn’t mean the battle is lost. Salads and sandwiches are probably the easiest option, but let’s put our minds together and see what else we can come up with. I would love to hear your suggestions, so please leave your comments below. So first things first, let's start with prepping for our keto lunch. Make a shopping list and stock up on all the ingredients you will need for the week. It is much easier to eat the food your body really needs when you have it on hand to prepare these incredible yummy meals. Don’t be rigid about it. Life happens, but at least have an outline of what your week will look like. If for instance you have a standing dinner for family or friends at your home once a week then you know that the next day you will probably have leftovers to take to work. Maybe some days you are on the road and not at the office, so your needs will be different. Cut up veggies for salads and store them in air tight containers, ready to be used when you need them. Precook and freeze your meals for the week. You can marinate and grill meat. You can cook a keto casserole, lasagna or quiche and portion these off just ready to grab on your way to work. Then you may want to have a look at our shopping list﻿﻿﻿ or consider these weakly meal plans from TasteAholics with detailed shopping lists and recipes for a week. Let’s have a look at some lunch ideas that are perfect to carry to work or school and then let’s enjoy some of the best keto lunch recipes I found in each of these categories. And don’t worry I won’t forget about you ketoers who do not have cooking facilities at work. Yeah, this must be the easiest low carb lunch idea. I know salad is not always great during winter, but let’s start with them. I love to pack salads as they are super convenient, doesn’t need to be warmed up and what you add into your salad is only limited by your imagination. They are quick to prepare and can be made however you like. Load up with lettuce or baby spinach, then add cucumbers, tomatoes, peppers, olives, capers and meats and cheeses of your choice. Leftovers come to mind again. Add half an avocado and a simple dressing of olive oil, lemon, dried herbs, salt and pepper and you are good to go. I usually pack my dressing in a side container and dress the salad when I am ready to eat. I love shrimp and avo and I am not alone. 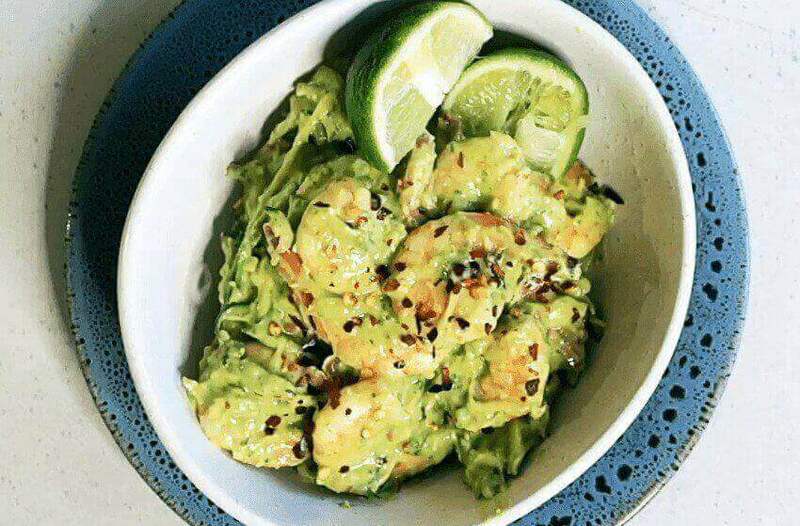 Search shrimp and avocado salad and you will find lots of recipes. Most of them share the main ingredients, which are shrimp, avocado, cucumber with spinach, lettuce and or kale. What makes them all super different though is the dressing. My favorite recipe is from Tina at Oh Snap Let’s Eat. Tina is a Paleo blogger, but this delicious recipe shows how the two eating styles overlap at times. I really enjoy a great many of Tina’s recipes, but what I love most about this one is the tahini dressing. Click here for the recipe and the source for the photo. I love this recipe. It is so - not conventional. You can easily make this the night before and cut in the last ingredients like the avocado and cheese just before you eat it. Just a word of caution - always check labels before adding sources or salad dressings to your foods. ​The recipe and photo is from ModernLowCarb.com. I added this salad, because it is so quick and easy to make. The sesame gives the tuna a rich taste and I love the zing you get from the lime and red onion. If you find the sesame oil too rich, you can also try a little low carb mayonnaise. Check out the recipe and source for the photo here at Table for Two, where you can enjoy many more of Julie's delicious recipes. I added this recipe, because even though it has more ingredients and sounds somewhat more complicated, it is still an easy lunch option provided that you prepare the ingredients ahead of time. This salad, like all the ones we share here, is packed with good fats and a good source of protein. What makes Dr Mercola's salad different is that he adds sprouts that has healthy enzymes and fermented vegetables which we should really eat daily. I love anchovies, but don't eat fish eggs, so I left those out. Personally, I am not very good at following recipes to the tee. Normally, I will adjust them to fit my needs and my palate. I have been following Dr Mercola for many years now. Whenever I want to understand why something is good or bad, I check out his site. He is a medical doctor and his website is known as one of the best medical/nutritional websites online. Another idea I like is salad in a mason jar. You can add any ingredients you like. Start with your dressing, add salad vegetables, then protein and lastly green leafy vegetables like spinach or lettuce. When you are ready to enjoy your super fresh lunch, just open the mason jar and "turn the content over" onto a plate. For more great salad ideas, watch this video by Jolene where she demonstrates how she makes her 7 favorite low carb salads. These are all easy keto lunches for work. Most salads are perfect lunch food and don't need to be warmed up. As I come across more interesting salads, I will be sharing them here. So, please check back from time to time or subscribe to our newsletter, if you'd like to receive notification when we publish new articles or recipes. Sandwiches - the lunch most of us grew up with. Right now, I have no alternative for peanut butter and jelly, but I am searching and when I find it, I will share it here. Sandwiches are super convenient and for many of us they have an emotional pull to childhood memories. If you are finding it hard to let go of delicious bread based sandwiches, then you need to find some alternatives. Here I share sandwich ideas with all kinds of low carb or substitute bread. Sandwiches are the ultimate portable food. Step 1 is to find or make a suitable low carb bread or non-bread and then fill them up with meats, bacon, tuna, cheese, egg, veggies and even nut butters. This recipe has been around since 2014, but it still remains one of my favorite keto cheese sandwiches. It takes a bit of work, so you will have to make the "bread" the night before and while you're at it just grill the cheese and sandwich and you'll have a delicious packed lunch ready to run out the door in the morning. Visit Mike's website for his cauliflower and cheese sandwich recipe. Mike from TheIronYou.com may be better known for his cauliflower cheese sandwich above, but I also love this version of his sandwich. With this zucchini invention, he replaced the cauliflower with zucchini. You will have to try both versions for yourself to decide which you like better. Please share your experiences with us below. I love this sandwich, because I sometimes get a little tired of cauliflower and zucchini is a nice alternative. 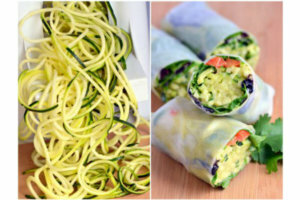 These two recipes and photos are from Mike at TheIronYou﻿.com. When you try this recipe, be sure to use a sugar free tomato sauce (or make your own). I never skim on fat, so I don't use lean mince and I always use full fat dairy. When you find a stunning recipe like this which may not be 100% keto compliant, just experiment and adjust it to make it exactly what you want. This recipe works well with the romaine or iceberg lettuce, but you can also use a "harder" lettuce, if you find that it transports better that way. Check out the recipe and source for the photo here at CookingClassy.com. I added this recipe, because I love burgers and Nicole doesn't only give us a recipe for a beef burger, but suggests lots of variation giving us one recipe with many options. Nicole has added four variations to this yummy burger. Make the patties the night before or make a batch over the weekend and then just assemble them the morning before work. You can find this lettuce wrapped hamburger recipe and lots more healthy and delicious recipes at FoodIMakeMySoldier.com. Unfortunately Nicole's website is not active at the moment. I am going to leave this here for a bit to see if she brings it back up. If not, I will look for a replacement. For another interesting variation check out this bacon mushroom cheeseburger lettuce wrap. Our options for sandwich fillings are really unlimited. When we think keto - bacon, egg, cheese and tomato comes to mind. And so does this delicious wrap idea from Stephanie Meyer - Bacon, radish and avocado lettuce wraps. I also enjoy tuna fillings, like the salad recipe shared above. Another great filling is egg and mayonnaise. Any left overs can be used as sandwich fillers. The ideas for what to fill your sandwich with is really endless. Oopsie rolls are perfect for burgers, but will work well with most of the fillings listed above. They are made with eggs, cream cheese, cream of tartar and salt and are fluffy and light. For the recipe and photo source visit TasteAholics.com. If you miss bread or want to make bread in minutes, then you have to try this recipe by Headbanger's Kitchen. I love this recipe, partly because it is so very fast to make and it is delicious. Add the butter to a microwavable cup. Melt it in the microwave for about 10 seconds. Add the egg and beat it with a whisk. Add the almond flour bit by bit and mix well. Check out more delicious recipe videos from Headbanger's Kitchen. When I initially posted this video and recipe Headbanger's Kitchen only had a YouTube channel. They have now created an amazing website. Please visit them here. I love this bread. It is tasty and looks like a normal white bread. The best thing though is the smell of fresh home baked bread. To have this ready for sandwiches during the week, you probably have to bake it over the weekend, but it really is worth it. Prepping takes 15 to 20 minutes and it bakes for 30 minutes. This was my first attempt at making a keto bread. I know I should have tested whether it is cooked through with a tooth pick, but I wasn't thinking. It is delicious and I so loved the smell. For the recipe, please visit Keto Connect. 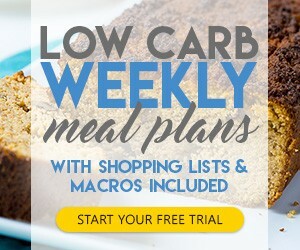 They have lots of delicious low carb recipes. You can also watch how they make the bread on their website or here at the bottom of the page. As you can see from the recipes and ideas here, sandwiches are still the ultimate portable lunch option. All you need is a healthy keto bread (and you have many options) and a yummy low carb high fat filling. These are all easy to pack, no matter where you work and they are perfect to pack as keto friendly school lunches. Pies are the ultimate comfort food, aren't they? Quiches and pies are both easy to prepare on weekends. Freeze them in pre-packed portions and you are set for an easy work or school lunch any day of the week. Eggs must be the ketoer's best friend and so very versatile. Quiches, frittatas and even omelettes are perfect for packed lunches. Pies are especially great for a work or school lunch, as just like with sandwiches they are easy to pack and many of them can also be eaten at room temperature. Personally I prefer my eggs warmed up, so for me this will only work if I can warm them. But if you don't mind cold eggs then you can have these meals anywhere. There is very little I can say about this pie, except - Yummy try it. It takes some work, so make it on the weekend and portion them of. This is one of those pies, that I love to eat cold so I can take it with me any time and anywhere. Just add a green salad and you have a delicious and healthy lunch. Visit The Diet Doctor for his French quiche recipe and for the source of the photo. Not technically a quiche, but frittatas must be some of the most versatile foods available to a ketoer. Frittatas are really easy to make and can be eaten at room temperature, so is a convenient lunch option even when you have no warming options at work. I normally make them the night before and then just stick them in my lunch box in the morning. Check out the Portobello mushroom and feta ﻿frittata recipe and more delicious recipes and ideas. I love this pie. It is seriously yummy and the ultimate comfort food. Pie and spaghetti bolognese all in one. It is quite a bit of work. But then making pies always are. So, it may be worthwhile making a few pies over the weekend. This is made with Konjac spaghetti. This is made with Konjac spaghetti. I can't always find it so tend to use Shirataki Noodles. You can enjoy this meal warm or cold, depending on your preference. Check out the recipe and source for the photo here at ﻿My Keto Kitchen﻿. I love shirataki noodles, but I know many people can't stand them. How do I use them? I rinse the noodles and then just add them into any dish I am making. Like pasta, they take on the taste of the source you serve them with. If you'd like you can also fry them briefly. This is one of those must have recipes in your arsenal of ketogenic diet recipes. It is easy to make and is really filling. It can be made the night before or the weekend before and stored in the fridge or freezer. These individual quiche cups or egg muffins are probably more popular as breakfast food, but they are also perfect as a packed lunch. I like them because they are so easy to pack and they are simple to make. I love this spinach, mushroom and cheese combination, but you can really add any ingredients you have in your fridge. As you can eat them at room temperature, they make for a tasty lunch no matter where you find yourself. For the recipe and the original picture click here. Check out LowCarb-Ology.com for the recipe and the original picture. These are all really yummy keto friendly lunch ideas to take with to work. 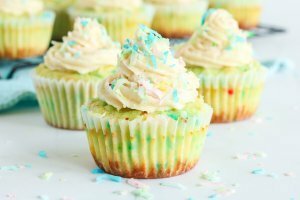 Whilst on keto you shouldn't feel deprived and with these amazing comfort food recipes you never have to. Some of the easiest work lunches may be packing left over portions from the previous night's dinner. So, it may be worth planning dinner with the following day's lunch in mind. Most of these meals will probably require warming, so may not be ideal if you don't have options to warm your lunch. Off course that depends on your own preference. I love one pan meals. Usually they are easy to make and who doesn't love saving time when washing up. Another thing I like about these types of foods, is that their flavors develop over time. When you eat this zucchini lasagna for lunch the next day, the flavor would have developed and the meal may very well be even tastier than the night before. This lasagna is made with spiralized zucchini, ground chicken, delicious cheeses and flavorsome herbs. This one recipe gives you many staple recipe ideas as you can also use ground beef or Japanese styled zero carb noodles. Enjoy dinner and your take along lunch by getting the recipe from TheFitHousewife.com. These delicious low carb fish cakes are made with pink salmon and have a really low net carb count. They will be as tasty the next day and is an easy portable lunch. Take along a nice green salad and some avocado and you'll have a lunch fit for a king. For the recipe and some amazing pictures showing every step in the preparation process, check out Ruled.me. Kebabs are perfect left over food. They are easy to pack and in most instances can be eaten at room temperature. They are perfect for summer barbecue dinners. But even in winter, they can be cooked in the oven or a skillet. When you make kebabs, add your vegetables of choice and you can have a complete lunch on a skewer. One of the things, I really love about this chicken kebab recipe is the pesto. I enjoy the pairing and when you make your own pesto from this simple recipe, you know that it is keto friendly. Check out the recipe and the step by step pictures on how to make these kebabs at ﻿SkinnyTaste. Not only is stir fry quick and easy to make for supper, but preparing an extra serving makes for the perfect healthy lunch the following day. The options and combinations are endless. With this recipe, I love the sweet and sour combination and the kick form the ginger. The recipe and picture courtesy of LowCarbMaven.com. These stuffed chicken breasts are yummy for dinner. Just cook a few extra and you'll have an easy delicious lunch. Want to make them easier to eat, just take along some lettuce leaves and eat it like you would a hamburger. Slow cooker meals are the best when you want to have a meal ready when you walk in. It is also easy to cook enough food, so you can take the leftovers with to work. I love curry. If you do too, then enjoy this delicious lamb curry. You can eat it with or without cauliflower rice. Get the recipe here and also check out Ditch The Carbs blog where you will not only find lots of delicious recipes, but also good advice in support of your ketogenic lifestyle for your whole family. The easiest lunch option is left overs from dinners. Plan your evening meals around your needs for the next day and you will always have an easy take away lunch ready to go. Please share your keto lunch prep ideas and recipes with us in the comments below.